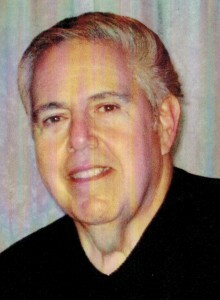 Richard David Pascuzzi, 72, of Warren, PA. passed away on Saturday afternoon, December 8, 2012. He was born December 2, 1940 in Warren, PA.to the late Santo F. and Clara F. Chiodo Pascuzzi. Rich was a lifelong Warren area resident and a graduate of Warren High School Class of 1959. He attended Cleveland Engineering Institute. Rich retired from the Commonwealth of Pennsylvania after 25 years employment as a caseworker with the Department of Public Welfare. He was a active deputy fish warden with the Pennsylvania Fish and Boat Commission for 17 years. He gave thousands of hours of his time to help enforce these laws. He was a member of Holy Redeemer R.C. Church. While his sons were young, he was a Cub Scout master and loved to help his boys build pine wood derbies. He once melted the new kitchen carpet with hot lead getting the car to the correct weight. He was President of Warren Little League for over seven years. While President he arranged indoor clinics in the winter months, had four new T-Ball field built, a new senior league field and rebuilt many of the old fields. He also worked hard to get an electric scoreboard and lights installed on Betts Jackson Field for night games. He was instrumental in hosting the Little League District 10 Championship Tournament and coached the boys to a first ever District 10 Senior Boys Championship Title for Warren. He started the T-Ball League with the help of his daughter and her friends, started the first Girl’s Softball League. For twenty-two years, Rich has coached many teams while his four sons and daughter played. During his time of presidency, the Little League grew from 250 players to over 650 children. He served on the Board of Directors for BMX Racing for many years. He helped build and maintain the Warren BMX track, which brought many racing families to Warren. He also took kids to other tracks in Pennsylvania, New York and Ohio to race. Rich was an active member of the Warren Jaycees and served on the board of directors for twelve years. As a member, heheld the first Miss Warren County Pageant at Beaty Junior High School. Being affiliated with the Miss Pennsylvania pageant, Rich was able to arranged for Miss Pennsylvania and Miss America to attend our local pageant in Warren. Rich escorted Miss Warren County to the Miss Pennsylvania pageant to compete for the title. Rich organized the first Fireman’s Water Battle, Junior Olympics, Warren’s Water Ski Program on the Allegheny River, and the Punt, Pass and Kick Football contest. He was presented with the Joseph Defrees Community Service award in honor of his commitment, dedication, service and contribution to these and many other non-sports related achievements to the community of Warren. In 2000, he was also inducted into the Warren County Sports Hall of Fame for his dedication in developing, fostering and improving sports of many kinds and recreational events for youth and adults. Rich was elected as a member of the Warren County School District Board of Directors for a four year term and also held the position of Vice President. Over his lifetime, his dedication and involvement has made a significant contribution to Warren County. He will be missed everyday by his wife, children and grandchildren. He will be remembered forever for the way he loved and prayed for his family, and shared his wisdom. Throughout his life he was an amazing father who always wanted the best for his children and grandchildren, loved the holidays, restored antique cars (most recently a 1964 Chevey Impala SS Convertible. He enjoyed hunting and fishing with his sons and grandchildren and just spending time with his family. He is survived by his wife of 46 years, Patricia Ann Catalano Pascuzzi who he married June 18, 1966, 5 Children – Richard S. Pascuzzi and wife, Diana, Scott Pascuzzi and wife, Tracey, Lynette Swab and husband, Daniel, Jeff Pascuzzi and wife, Amber, Matthew Pascuzzi. 2 Brothers – Santo (Sam) Pascuzzi, Joseph Pascuzzi and wife, Margaret, 6 Grandchildren – Alexandra Pascuzzi, Connor Swab, Carter Pascuzzi, Shawn Pascuzzi, Cole Swab and Alexis Pascuzzi who he dearly loved and told them often. Several nieces and nephews also survive. Friends may call at the Donald E. Lewis Funeral Home, Inc., 304 East Street, Warren, PA. on Tuesday, December 11, 2012 from 2 to 4 and 7 to 9 P.M. A Mass of Christian Burial will be conducted at Holy Redeemer R.C. Church 11 Russell Street, Warren, PA on Wednesday, December 12, 2012 at 10:00 A.M. by Fr. James Gutting, Pastor, officiating. Entombment will be in the Mausoleum of the Resurrection in St. Joseph R.C. Cemetery. Those wishing to submit e-mail condolences may do so by visiting www.lewisfuneralhomeinc.com Memorial contributions may be made through the Warren Unit of the American Cancer Society Relay for Life Teams or Holy Redeemer Church Building Center Fund or American Heart Association. I am sorry to hear about your dad. I have a lot of great memories of hanging out with all of you with him. He was a great guy and will be missed. We have only known Rich for two or three years and found him to be a very caring and dedicated man. He will be missed. Our condolences to the family. Matt- So sorry to hear about your Dad!! You and your family are in our prayers. So sorry to hear of our loss. Our deepest sympathies to each of you. May you find comfort in the many fond memories you have shared and in the strength of your families. Eternal rest grant unto him Oh lord and may perpetual light shine upon him. I was so sorry to hear about Rich. I so enjoyed serving with him on the school board and more importantly having him as a friend. Please know my thoughts and prayers are with you during this difficult time. Saddened to hear of your loss. You and your family are in my thoughts and prayers. We are deeply saddened by the untimely death of your father and would like to extend our condolences to you and your family. I just seen this obituary and I wanted to let you know how sorry I am for your loss. Hugs coming to you and lots of prayers. May you find comfort in knowing that he is now home with the Lord.